SPF stands for sun protection factor and is a measure of the sunscreen’s ability to prevent UV rays from damaging the skin. It takes 10 minutes for your skin to turn red when you are out in the sun,with SPF50 you can stay out in the sun 50 times longer before you begin to burn.Isn’t that amazing? Don’t FRY NOW and PAY LATER! What is a UV RAY? I know it sounds confusing but here is an easy answer. “UV” stands for ultraviolet rays. These invisible rays are a part of the energy that comes from the sun and can damage the skin,causing melanoma and other types of skin cancer. Cause lasting skin damage,skin aging,& skin cancer. Cause sunburns,sun damage and skin cancer. I love a walk on the beach and had my days in the sun BUT… Take it from me I’ve had skin cancer.Protect Your skin! 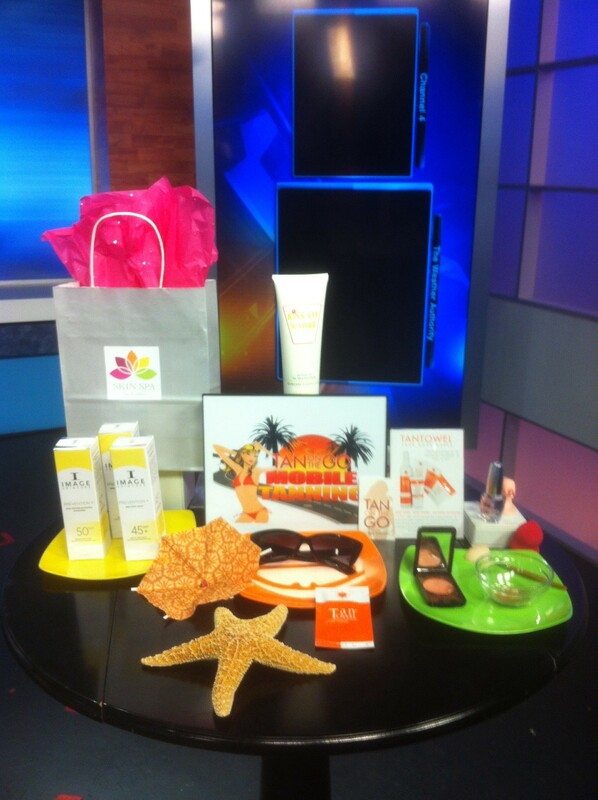 *I featured all kinds of products for practicing safe sun and getting a safe pretty tan.You can follow me at http://www.news4jax.com Type in my name NOREEN YOUNG in the search bar and video will come up!